Propaganda color picture card of 1967-1974 Greek dictatorship with English text. One of the many attempts of Greek dictatorship to convince the world out of Greece that Greece was saved from Communism. The card design and text are related to Greek Mythology. 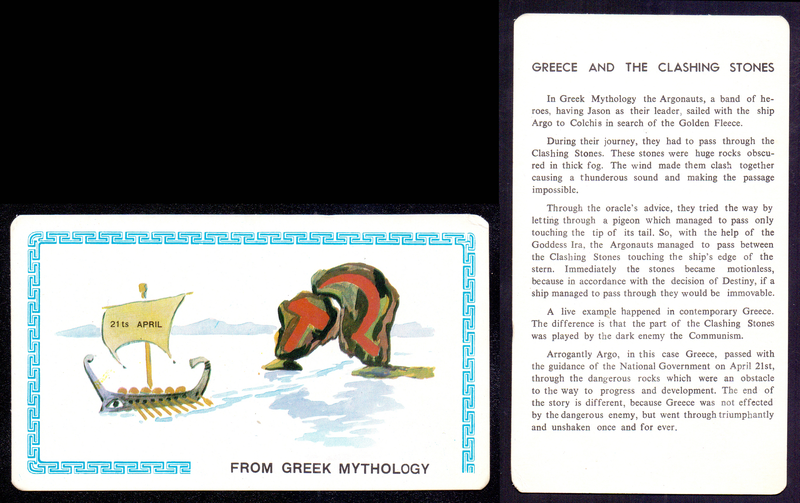 Greece, 1967-1974, Propaganda color picture card of 1967-1974 Greek dictatorship with English text.